Your company is only as productive and effective as your employees, which means you need to ensure your staff is working up to their full potential. 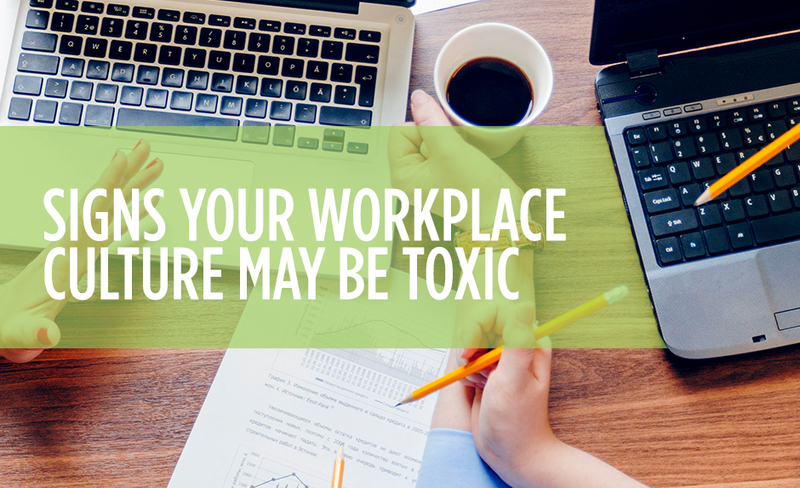 Unfortunately, sometimes employers inadvertently create a toxic workplace culture that undermines staff motivation, kills morale and impedes productivity. Miscommunications occur constantly: If mistakes are often made because staff members did not communicate their expectations clearly, then your company’s communication problems are seriously undermining productivity. It may be time to streamline the process of communicating so everyone can get on the same page. Favoritism impacts how rules are enforced:If it seems enforcement of workplace rules is arbitrary, or it appears promotions are handed out based on favoritism rather than merit, this is going to sap productivity. No one is going to work hard if they feel others are going to get ahead just because they happen to have the ear of the boss. Staff members have formed tight cliques:If you notice staff members have formed exclusionary groups, this is a major red flag that your company culture is not an inclusive one. This is especially true if any staff members are being bullied or there is a lot of office gossip going on. You don’t want to have demoralized workers and high turnover among those who don’t feel like they’re part of the “in” crowd that has formed in your office. Turnover rates are far too high:If your company is seeing very high turnover— especially if it is out of the ordinary for your business or industry — there’s something wrong with your culture that needs to be addressed. High turnover destroys productivity because you don’t build institutional memory, and you don’t want this to happen to your organization. If your company culture is toxic, you can turn it around. Eastridge Workforce Solutions can help you hire great people who will help make your company a nice place to work. Give us a call today to learn more about how our staffing professionals can help.